Learn how marketing on Pinterest can help you grow your business! Pinterest is one of the oldest visual media channels that are still alive and kicking in 2019. It gets overlooked by some of the marketers who still believe Facebook and Instagram are enough. However, if you invest part of your time on Pinterest as well, you might get surprised by how effective this platform can be. Thousands of companies and individual marketers use Pinterest as their main marketing platform. Ikea, for example, the giant DIY furniture store, used the platform in order to target students before move-in day. They manage to increase their click-through rate by 72% and spend 37% less per click on Pinterest. Another great example comes from Emtek, the door hardware manufacturer that managed to increase brand awareness among homeowners via Pinterest. The results are impressive as they managed to increase their website impressions by 1200x and double their Pinterest clicks in only two months. Can you copy their success stories? Well, the answer is yes. With this article, I will show you how to use Pinterest for marketing and some of the best strategies you can adapt or design them in order to get the most out of your campaigns. Who do you target with a Pinterest marketing campaign? Before proceeding any further, it is very important to understand the platform and the type of audience it has. Pinterest is not the most popular social media platform but it is nevertheless, popular, especially among women of all ages. According to this report, 31% of adult Americans use Pinterest. However, if we were to compare the auditorium based on gender, we see that almost half of the American women use the platform compared to only 17% of men. Also, it’s good to know that almost 85% of Pinterest searches happen on mobile. This means that you will most likely need to address almost entirely a mobile-based audience. Moreover, Pinterest is based mostly on vertical content. It’s not a rule but the pins are usually displayed in a vertical manner which makes them ideal for mobile devices. Since mobile devices are the main source of traffic on Pinterest, the vertical display is the choice that could make a difference. 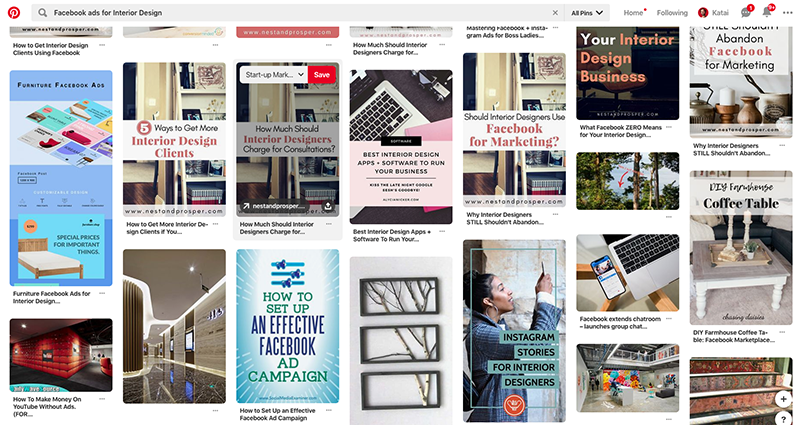 My suggestion is to focus on this type of content if you are going to market your website/product/services on Pinterest. Another important thing, however, is that the platform is able to attract customers and to generate profits. The percent of visitors-to-customers conversion is pretty high. It means that Pinterest users come from a medium-to-high income class and that they are ready to make a purchase if they see something they need or like. In other words, you can use Pinterest for business and make the most out of this platform as a marketer. Pinterest is popular among one-third of adult Americans. Half of the female adult population uses Pinterest. 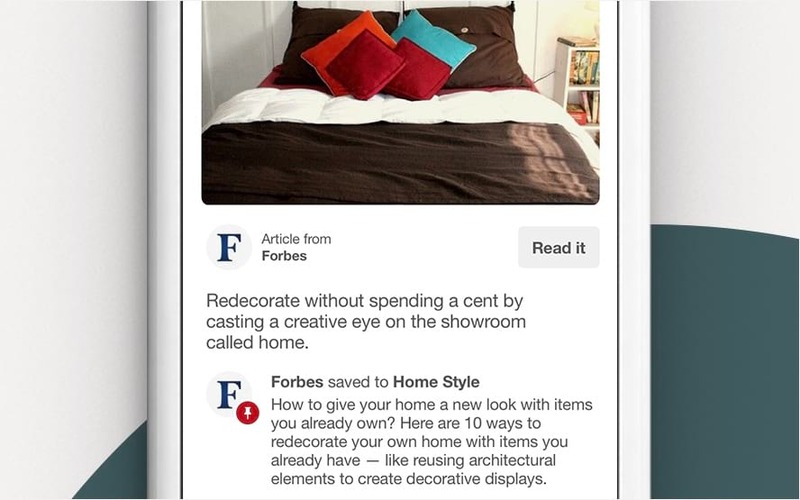 Almost all Pinterest users are likely to make a purchase based on what they see on the platform. Pinterest users are mostly mobile based and with medium to high income. Now that you know a little bit about your potential audience, let’s start planning for a marketing strategy. The first step in creating a successful marketing strategy is to be where your public is. In this case, you need a working individual account (a personal account or a Pinterest business account) and a little understanding of the platform. If you already are on the platform, your move is to get ready for its optimization and start learning about how to use Pinterest for business. 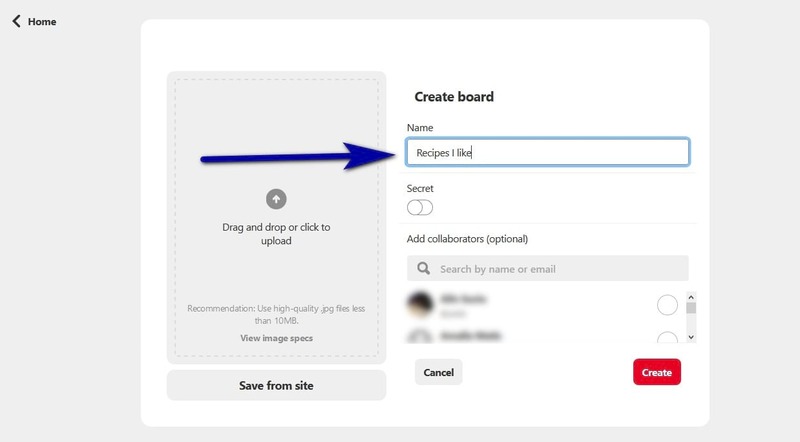 Starting with the name and the descriptions of your boards, everything is important on Pinterest if you want to be easily found by the audience. They tell the users what to expect and if they should click on your pins. These names and descriptions should match the keywords your products or your brand’s marketing strategy is based on. For instance, if you are building a marketing strategy for a food-related blog, your boards should wear names and descriptions specific to keywords from the food and cooking industry. The description is as important as the name. You are limited to 500 words and this is why every letter is significant. Don’t waste any letter. If you need any help writing the description, think about your website or blog. Try to write a meta description for a category on your blog and then post it on Pinterest’s board of choice. Their board title tells us what their pins are about and the description comprises of all the keywords an individual potentially interested in weddings would search for: stylish, chic, amazing and of course, wedding inspiration. Another good example comes from Keri Jaehnig, a successful social media marketer that most likely fits your profile as well. She has a lot of boards, for all niches available in her domains of interest. Each of these boards feature a keywords-based name and a simple description. However, in her case, the name is the thing that is the most relevant and most of the times, self-explanatory. Sometimes, they are more important than the board names and descriptions as well. And, if you think about it, it’s quite obvious why. Boards are just like categories on your blog while the individual pins are similar to the blog posts you publish. Do you optimize your categories? I am sure you do. And, if not, I recommend to start right away. While pins are mostly visual in nature and there’s little room for text there, you can always optimize them the same way you did with your boards. If you want to use Pinterest for business, you should focus on this step as well and pay maximum attention to the words you choose. Here, you can also use hashtags. I suggest, however, not to overuse these hashtags and focus primarily on the description as it gives you more opportunities for properly market your products/content. Use the hashtags as if you would use them on an Instagram or Facebook account. Or, as if you would set up the tags for a blog post on a WordPress hosted website. In conclusion, let’s summarize. What do you need for a PIN description? Use a proper name for the pin. Choose it based on your main keywords and/or your industry. Use hashtags. They are the backbone of Pinterest with the same importance they carry on Instagram or other social media platforms. Describe your PIN. Based on your main keywords, you can create a medium-sized text to describe properly what you have to share and convince the audience to click on it. Make your content easy to be found by those who search for similar pins. Hashtags, names and description will help you in this area but only if you choose them properly. Test before settling for a description. Write it down and perform a search of your own. See what the search engine gives you and try to adapt for a better match. Back in 2010, when Pinterest was just trying to reach out to a social media hungry market, there were little opportunities available for marketers as there was only one type of pin available. Now, on the other hand, you have several types of pins to choose from and, regarding a marketing strategy, the rich pin seems to be the most suitable. If you are curios about how to market on Pinterest and be successful at it, rich pins are one of the most important assets the platform puts at your disposal. According to the official description, rich pins “provide more context about an idea because they show extra information directly on a Pin”. Definition for Rich Pin: The Pinterest Rich Pin is a type of an organic pin that provides more information regarding the content that was shared by showing extra information regarding the type of the product, the content of the shared article or the means to access that content/ product/ service. There are four types of Rich Pins available at this moment: app pin, product pin, recipe pin and article pin. The product pin, shown above, allows you to save a story featured with a headline, a description, and an author. App pins feature an install button so that people could click on them and install them right away. The feature is only available for iOS, however. If you are into foods, the recipe pin might also be of interest to you. You can add here the list of ingredients, cooking time and serving sizes. Finally, the product pin includes, besides the name of the product, a real-time pricing of the product, availability and of course, where to buy it. This is a great choice if you are marketing an e-commerce website. How to use rich pins? Well, they are not available right away. You need to put in a little bit of work to set up your rich pins but rest assured, it is worth it. The first step is to add metadata to the content on your site. 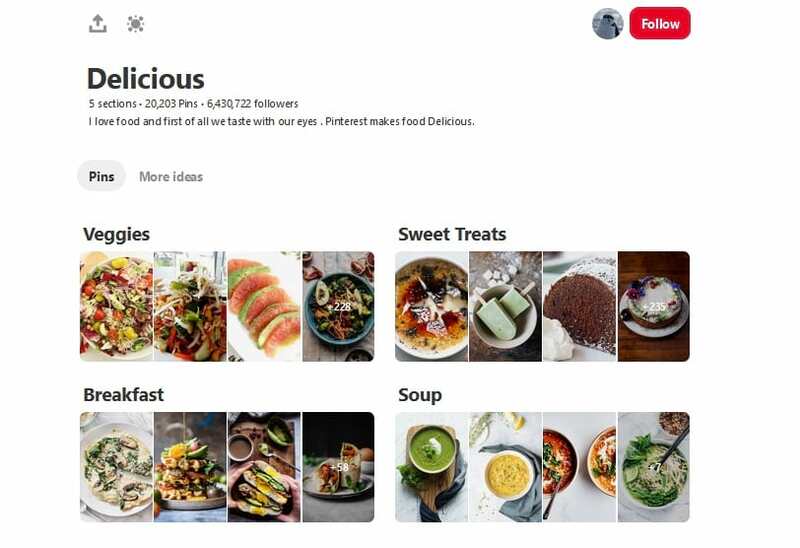 Depending on what you want to promote, Pinterest provides you with full descriptions and tutorials on adding metadata for your pins whether you aim at rich articles, products or recipes. I suggest reading those articles and follow up on their professional advice. The next step is to apply for rich pins. Make sure you have metadata set for your articles. Have a title and a description on your blog posts. If you are marketing a product, make sure the price and the currency code is available as well. If the product is on sale, this option should also be visible and available. If you market a recipe, make sure all the information about quantities and the type of ingredients is available. Also, check out the cooking/prepare time for a recipe. The tool will show you if there are any problems regarding your metadata information. Once you correct these problems, you can apply directly for rich pins. An important part of your Pinterest marketing strategy should be to adapt your website or blog to this platform. 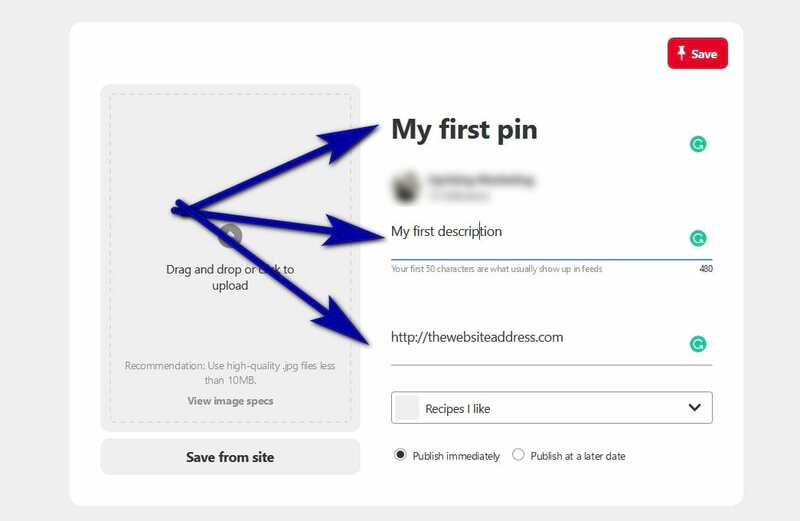 While you have a “share” button for Facebook and a “Tweet this “ button for Twitter, when it comes to Pinterest, you need a “Pin it” button. It’s a button that appears on a top corner of a visual piece of content you share online. This button is so easy to use that it does not need any explications or advice. 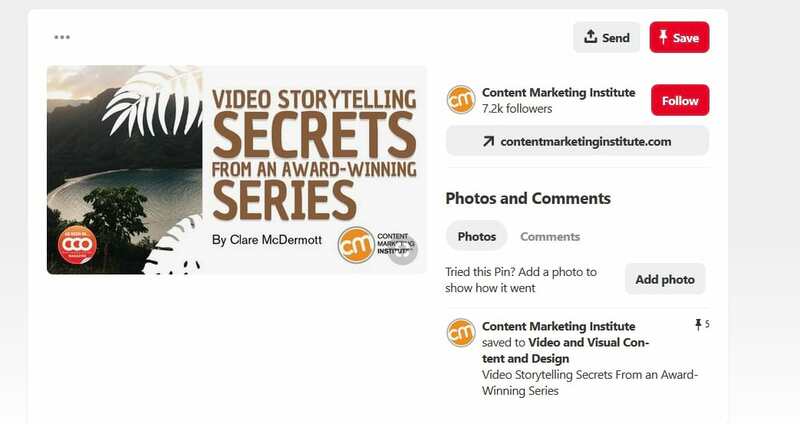 It’s just there, on your website, and any visitor is able to click on it and share your content on Pinterest if they are members of this community. If you are on WordPress like most of today’s audience, you will easily find a “Pin it” button plug-in available in your plugins repository and install it on your website. If you are not on WordPress or just in case you want to be more technically aware of the code and the process, you can read this article published by Hubspot. It really sheds light on all aspects of this useful external linking button. The “Pin It” button allows people to pin an image from your website or from a page of your website directly on Pinterest. The “Follow” button allows you to grow your audience by inviting people to follow your brand or your company on Pinterest. The “Profile” widget allows you to display up to 30 of your latest pins anywhere on your website while the “Board” widget allows you to display up to 30 of your latest pins on a specific board. Find their Pinterest accounts – if they are active on this platform – and follow them. Find out what they are sharing on Pinterest and how they describe their Pins and Boards. Try to learn from their actions and become better at what you are doing. Every strategy that is good for them might also be good for you. How to find your competitors? Search the Pinterest platform by using the same keywords you base your marketing strategy on. And, search with similar or related keywords as well. What should you look for? Well,look for hw popular their pins and boards are. If they are more popular than yours, look at their descriptions and names. Try to adapt your strategy to match theirs as well. For instance, I searched for professional designs and I got to InDesign Skills’ board. Here,I shall look for any boards that might help me,their names and descriptions as well. However, do not forget that Pinterest is a visual content platform. The pins are 100% visual and this is where you should work before hitting publish on your blog dashboard. And, if you are already active on other social media platforms as well, I guess you already know it. Therefore, if no other relevant images are present nor required, make sure you have at least one featured image that has the capacity to attract new visitors. Focus on image quality and not on quantity. Yes, I know, sometimes you will need a lot of screenshots in a blog post to make it readable and self-explanatory. If screenshots are all that you need, include at least a high quality featured image. Share it on Pinterest and not the screenshots. 1. How do you create a visual for Pinterest? This part depends on what you are working on. 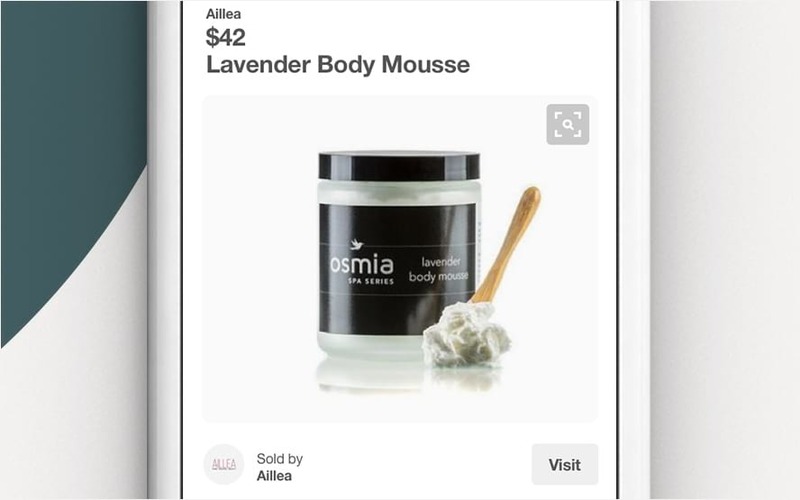 If you are working to design a marketing strategy for an eCommerce website, the best strategy is to use one of your product’s featured images on Pinterest, the one that is most relevant to your campaign. If, on the other hand, you are trying to market a blog, you should make sure you have a featured image that is worthy on being shared on social media, not only Pinterest but also on other platforms such as Facebook or Twitter. 2. How do you share a blog post on Pinterest? Things are very easy in this case. Log into your Pinterest account and search for the “+” button on the top right corner of the screen. Click on it and then, click on “Create Pin” option. Next, you can upload an image, se a title and of course, a link to the blog post you want to upload. Also, do not forget to select the proper board for that post or, to create the adequate board for it. 3. Is keyword for Google related to keyword search on Pinterest? Well, considering that the search option on Pinterest is based on the same principles as Google search is, you can consider it to be related in many ways. You can search based on Keywords, Titles or Descriptions and select the most relevant results for your search. If you follow the link, you will notice that the image shared on Pinterest is also the featured images shared with the blog post as well. Sometimes, especially on social media, might not be enough to just post your articles and products. You need to focus on popular topics and categories as well. According to this study, food and drinks are the most popular boards on Pinterest. If you are not in the food industry, however, don’t be discouraged. Just look at the stats, analyze the categories based on their popularity and select the one that is the closest or related to your industry. Some of your shares will come from people who visit your website and find the “Pin it” button on your images and posts. However, if you want to also share some of your pieces right after you post them on your blog or website, you should pay attention to the best times to do it. It is just like you would do it on Facebook, where a timeline is unnoticed if published when the audience is not on the platform. According to Hubspot, the best times of day to post on Pinterest are between 8 and 11 PM and surprisingly, between 2 and 4 AM. Start with these hours and then, analyze your incoming traffic. If you notice that Pinterest referrals come from other hours, adapt to these hours and try to reschedule your pins. In other words, don’t pin everything from everywhere. It will be hard for the audience to find what they are looking for if you clutter your boards with piles and piles of unrelated and unattractive pins. Instead, try to curate the content and give the impression your boards are premium. Make the audience feel like they have landed into a zone that sells them only premium information. And, try not to pin all your articles, products or links in just one board. Create as many boards as possible and try to cover niche domains and industries. Some people will look for specific things, make sure you have the descriptions, hashtags, and titles to match those specifics. How to curate content? Well, this is something you’ll have to figure on your own. 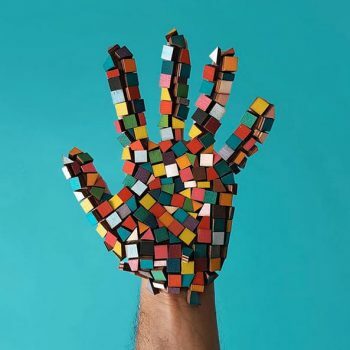 What you want to consider, however, is your industry as a whole and which are the pieces that are most likely to attract an audience and be shared by the audience. In other words, you should make sure what you share is top notch and not just some random posts or images. Why curate content? The answer to this question is or should be already implied. You should curate it because not everything that fits your board description is worthy to be mentioned. Some pictures are of poor quality while others will depict instances, scenarios and designs that are not exactly what you expect your audience to follow. Be picky. Share content as you would be one of your fans and not the brand you want to market on Pinterest. As you can see, there are not screenshots and images from anywhere and anybody. These are all pictures of interior designs that match a specific style and who are all of good quality and stylish enough to be shared on a professional board. It is important to be active on your blog and on social media as well in order to collect the expected results. People who come across your blog, will more likely return if you post other important and valuable posts. They will learn when to return if you have a clear schedule and post regularly. The same thing applies to social media. The more you post, the more likely is that people will come. 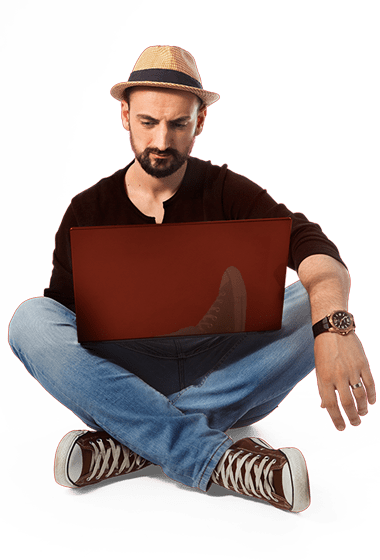 Also, with increased frequency, you will increase your content database and thus, the chance to be discovered and followed by your peers and customers. Also, you can try to engage some influencers who are already popular on Pinterest, professionals that can help you gain more visibility on the platform. The easiest way to find these influencers is to search based on your keywords and select the Pins that have the most Re-Pins. They are the most popular ones. Take a look at the people who posted these pins. If you find out that they have other popular pins as well, you can proceed further and try to contact them and make your proposals. Pinterest gets sometimes to be overlooked by marketers due to the fact that it is not as popular as Facebook and Instagram. However, as we’ve already seen in this article, Pinterest is by far the least important social media platform available. In fact, almost half the adult American audience uses Pinterest and most of all, they are all ready to purchase based on recommendations they see on the platform. It is, therefore, a good idea to start planning for a Pinterest based marketing strategy or to adapt your already scheduled strategy for the platform as well. Using Pinterest for business can, and should be a good choice. Create and optimize your Pinterest account. 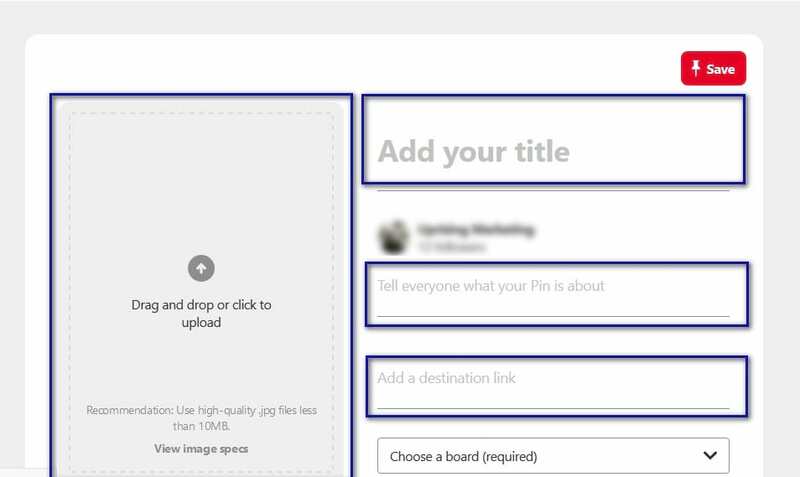 Optimize your Boards descriptions and your Pins descriptions. Share your posts and be active on other people’s boards as well. 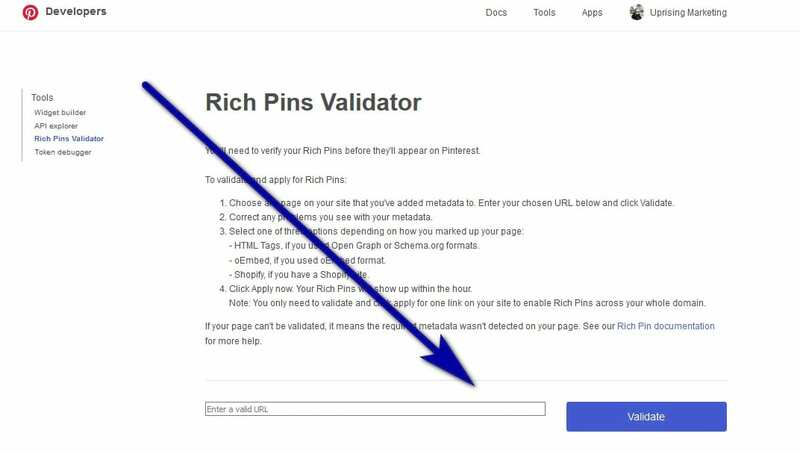 Use rich pins and make sure you optimize your website for metadata specific to Pinterest. Find the right time to post on Pinterest and curate your content. Thus, we’ve covered some of the most important steps that are required for designing a lucrative Pinterest marketing strategy. Should you know of any other important step or strategy that was not featured in this article about how to use Pinterest, feel free to make your contribution to the comments section available below.